Oddly Satisfying | ブレイカー株式会社 | BREAKER Inc. 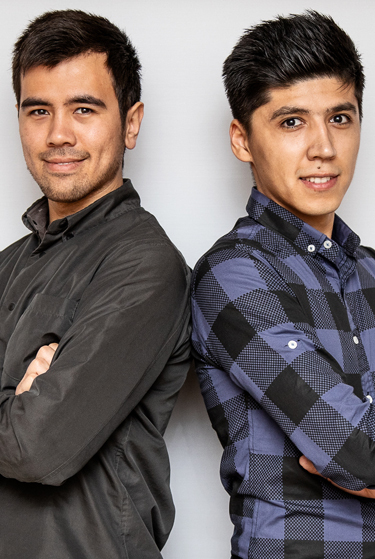 The creators of Oddly Satisfying and Toyful Joyful, Sherzodbek and Hayotbek are both from a small town called Andijan in Uzbekistan. They came to Japan in 2013 at the age of 18 and 17 respectively to do their bachelor studies at Ritsumeikan Asia Pacific University. Close to the end of their 2nd year at university, they decided to set out on a new path. What started as an attempt to create another source of income on YouTube, turned into a reliable and stable career. With passion, consistency, , and focus, as well as gratitude and appreciation of their incredible luck, they are determined to expand the reach of their channel among the ever-growing audience on YouTube. Their philosophy is "Life is too dear to be wasted doing what you are not passionate about."